WASHINGTON/KAKUMA, KENYA (Reuters) - On Jan. 19, 2017, Aden Hassan’s long wait to start a new life ended when he stepped off a plane in Columbus, Ohio, half a world away from the Kenyan refugee camp where he had lived for a decade. Years earlier in Mogadishu, Somalia, Hassan’s father, a community organizer, was shot dead by the Islamist militants he opposed. A few years later, a younger brother and sister were killed by gunmen while walking home from school. 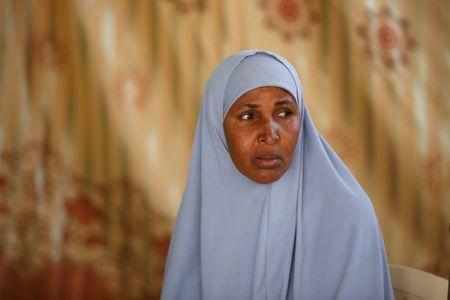 After Hassan's mother survived an assassination attempt, she fled with her surviving children to neighboring Kenya. 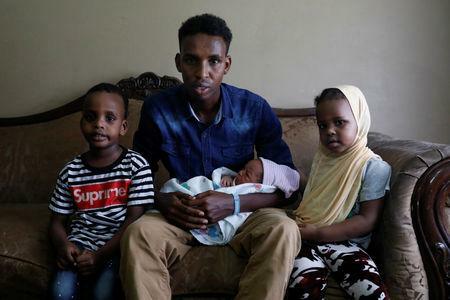 The Midwestern winter chill could not dampen Hassan’s hope, as he left the airport with his wife, their two young children and his brother, that Ohio would provide a security and stability the family had not known in years. All that remained was for his mother, her second husband, and Hassan’s brother and sister to join them, which refugee officials assured him would happen soon. "When we landed at the airport, we felt we could start a new life," said Hassan, now 27. "We were very hopeful, very grateful." The next day, Donald J. Trump was sworn in as U.S. president. Nineteen months later, Hassan's mother, Fatuma Diriye, a diabetic with heart problems, and his other relatives remain in Kenya's Kakuma refugee camp. Although they were approved for resettlement in the United States at the same time Hassan was, their plans have been repeatedly delayed by the Trump administration's dismantling of longstanding U.S. refugee policy. The State Department declined to comment on Diriye's case. A week after his inauguration, Trump issued an executive order temporarily banning travel from several Muslim-majority countries and halting all refugee admissions. Since then, through procedural changes made largely out of public view, the administration has reshaped the U.S. refugee program, slashing overall admissions and all but halting entry for some of the world's most persecuted people, including Syrians, Iraqis, Iranians and Somalis. This year, with a record high 68.5 million forcibly displaced people worldwide, the United States is on track to take in about 22,000 refugees, a quarter the number admitted in 2016, the last year of Barack Obama's presidency, and the fewest in four decades. In interviews with Reuters, more than 20 current and former U.S. officials described how the Trump administration has abandoned policies established over decades and embraced by Republican and Democratic administrations alike. The officials, most of whom spoke on condition of anonymity, say the administration has rejected internal findings that refugees could be admitted safely and with little expense. Two senior staff members who questioned the administration's policies were removed from their positions. The administration has instituted opaque and complicated new security vetting procedures that have bogged down admissions and eliminated many candidates for resettlement who would previously have been accepted, many of the officials said. It has extended the strictest kind of vetting to women as well as men from 11 countries, mostly in the Middle East and Africa. And it has reduced by nearly two-thirds the number of officials conducting refugee interviews, reassigning about 100 of 155 interviewers to handle asylum screenings for people already in the country, including those who crossed the border illegally. 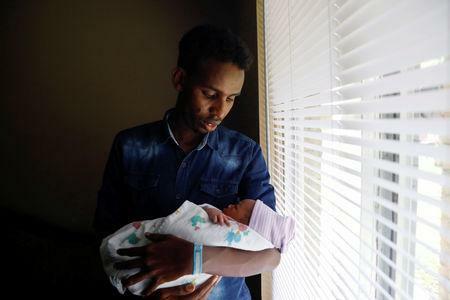 "They're just stuck," said Angie Plummer, executive director of Community Refugee and Immigration Services in Ohio, the group that welcomed Hassan and his family last year. "It's blocking people who absolutely would have been here two years ago." The Trump administration says the changes were necessary. "Security improvements in the refugee program made in recent years to mandate additional screening for refugee applicants undoubtedly makes Americans safer," said Katie Waldman, a spokeswoman for the Department of Homeland Security. In addition to far lower admissions overall, the type of refugee admitted has changed under Trump, a Reuters analysis of government data shows. The percentage who are Muslim is now a third what it was two years ago; the percentage who are Europeans has tripled. The shift has led to striking imbalances. Refugees admitted to the United States from the small European country of Moldova, for example, now outnumber those from Syria by three to one, although the number of Syrian refugees worldwide outnumbers the total population of Moldova. Somalis like Hassan and his family now have little chance of getting in. As of Sept. 10, 251 Somali refugees have been resettled in America this year, a 97 percent drop from the 8,300 admitted by this point in 2016. When Hassan and his family started the refugee process, the path was grueling and lengthy, but largely straightforward. Granted refugee status by the United Nations in 2008, Hassan and his family were assigned to the United States for resettlement in 2016. Family members were then interviewed by U.S. refugee officers to establish whether they faced a serious threat if they returned to Somalia. They then had to undergo rigorous security checks put into place after the Sept. 11, 2001 attacks. Because of his age, gender and country of origin, Hassan was subjected to extra vetting. After Hassan's family all passed the checks, they were told they would be sent to Ohio in two groups, one traveling first and the second soon after. Trump's January travel ban disrupted that plan. In addition to suspending travel from some majority-Muslim countries and all refugee admissions, the order capped the maximum number of refugees in 2017 at 50,000, less than half the number Obama had set a few months earlier. Courts eventually barred implementation of the order. The administration replaced it with a less comprehensive version in March of 2017, followed by additional temporary restrictions on some nationalities. Today, no country's refugees are under an official ban, but several nationalities are nevertheless almost entirely blocked. Syrian refugees, for example, were singled out in the first executive order as "detrimental" to the nation's interests. In the 10 months since the ban lapsed, only 27 Syrian refugees have been resettled in the United States. By contrast, the United Nations counted 6.3 million Syrian refugees as of 2017, by far the single largest nationality of refugees. Current and former U.S. officials say the new policies have been driven by a small core of top administration officials, including White House senior advisor Stephen Miller; Gene Hamilton, a former advisor at the Department of Homeland Security; and John Kelly, former secretary of Homeland Security and now White House chief of staff. Hamilton, now at the Department of Justice, declined to comment through a spokesman. The White House did not comment directly about the roles of Kelly and Miller. Provided with a detailed description of Reuters' reporting, White House spokesman Hogan Gidley said that "the administration is committed to a fair and responsible refugee policy that maximizes the reach and effectiveness of our global humanitarian assistance." He added that "America is now safer." The remaking of the refugee program began with a full examination of screening procedures, something called for in the travel ban. Conducted in the summer and fall of 2017, the review concluded that refugees from all countries could safely be allowed to enter with some tightening of vetting, according to seven current or former U.S. officials who helped formulate or were briefed on the findings. White House staff, including Miller and Kelly, were not happy with that conclusion, said one current and two former officials. In particular, the White House wanted to continue barring refugees from Somalia, Hassan's home country, for reasons that were unclear, the two former officials and a second current official said. That posed a problem: The working group had found no evidence that Somali refugees presented a unique threat. Homeland Security officials proposed that when admissions were resumed, the government would conduct a further 90-day review of refugees from 11 countries, including Somalia. During that time, refugees from the countries would remain effectively blocked. Some members of the working group felt the additional review - which directly affected thousands of refugees - was unnecessary, designed solely to satisfy White House officials. Waldman, the Homeland Security spokeswoman, disputed that assessment. "The further 90-day review was proposed for absolutely no other reason than to ensure a risk-based approach to the security enhancements," she said. The 11 countries - Egypt, Iran, Iraq, Libya, Mali, North Korea, Somalia, South Sudan, Sudan, Syria and Yemen - had been identified as potential threats as far back as the early 2000s, and their refugees had long been subject to more rigorous screening. But previous administrations still admitted refugees from those countries. Between 2002 and 2016, they accounted for 36 percent of U.S. refugees. Since the end of the 90-day review, when admissions of refugees from the 11 nations were supposed to continue with additional screening, refugees from the countries have made up fewer than two percent of admissions. Through Sept. 10, 564 refugees from the countries have been admitted since the start of the fiscal year in October, a 98 percent decrease over the same period in 2016, when nearly 34,000 refugees from the 11 countries came to America. Fatuma Diriye, who cannot read or write, does not follow the details of U.S. policymaking. Her son, who does, realized the new procedures posed huge obstacles for his mother. "I lost a lot of hope that I had before," he said. Diriye had cleared all the security screening required in 2016, but now she must undergo an additional advanced check known as a Security Advisory Opinion. That type of vetting previously was required just for men from the 11 targeted countries. The online portal that tracks Diriye's case now says her security status is "in process," but she doesn't know what that means. When the refugee group assisting the family inquired about Diriye's status last month, they were told only that her case is "on hold pending further review." One primary source of the long delays, five current or former officials told Reuters, is the Federal Bureau of Investigation, which shares responsibility with other intelligence agencies for Security Advisory Opinions, the extra background checks now required of most refugees from the 11 countries. In May, the State Department limited requests for the advanced checks to 500 per month globally, according to a State Department memo reviewed by Reuters. The memo cited an increasing "backlog" as the reason for the limit, without mentioning the FBI. The cap has effectively kept a large portion of refugees from the 11 countries from progressing beyond the first stages of the refugee process. Asked about its role in the vetting process, an FBI spokeswoman said the agency's "primary focus is to protect the United States from national security and criminal threats." A State Department spokesman said improvements in the refugee vetting process have "had a direct impact on how quickly security checks can be conducted." Some Pentagon officials have expressed alarm to the White House and other agencies about how the new screening measures are affecting one category of refugees: Iraqis who helped the United States in battle. These Pentagon officials say such admissions provide a lifeline to people who risked their lives assisting the United States. As of Sept. 7, just 48 Iraqi refugees with U.S. affiliations had been admitted this fiscal year, according to State Department data. More than 3,000 were admitted last year and about 5,100 in 2016. During a White House meeting last month, FBI officials revealed that their screening had turned up suspicious information on 87 of 88 U.S.-affiliated Iraqis who recently underwent background checks, a far higher hit rate than in the past, according to two officials with knowledge of the meeting. But it is unclear even to people inside the government how the FBI's processes have changed, they said. The FBI spokeswoman declined to give information on vetting processes, saying only that the agency "takes the necessary time to thoroughly review all the information available." One Iraqi interpreter, who worked for the U.S. Army for years and was approved for refugee status, described the obstacles he has faced since Trump took office. His account, provided on condition of anonymity, was confirmed by records from a court case against the administration in which he is a plaintiff and by two U.S. veterans who worked with him. After being targeted by militants opposed to the U.S. in Iraq, the man fled to Egypt in 2014 and applied for refugee status. In late 2016, he was accepted. Trump's travel ban delayed his plans. He persisted, however, filing additional paperwork and undergoing new medical exams, and last September was again cleared for travel. Then came the 90-day review of Iraqis and others from the 11 countries. When that lifted, the interpreter said, he was asked to provide information for additional vetting, including 10 years' worth of travel history, residential addresses, email addresses, phone numbers and information about his wife, children and brother - a daunting challenge, he said, given the turmoil in Iraq. "I can't tell you how exhausting it was," he told Reuters. "In Iraq, for a period of time, it was hard to keep a phone number." Months after submitting the information, he is still in limbo and fears being deported by Egypt. Each September, the president must determine the maximum number of refugees the United States will admit during the next fiscal year. Last year, Trump set the cap at 45,000, the lowest since the modern refugee program was established in 1980. State Department data suggests it is unlikely actual admissions will reach half that number, if they continue at the current rate. With October a few weeks away, the administration now must decide next year’s ceiling. In early meetings, the Pentagon and State Department have supported maintaining a cap of 45,000, one current and one former official said. Refugee advocates fear it will be set lower. In part, that is because two advocates for the refugee program will not participate in the discussions this year: Jennifer Arangio, until July a senior staffer at the National Security Council, and Lawrence Bartlett, a career State Department official who has served in Republican and Democratic administrations. Arangio worked on Trump’s election campaign, but on refugees she found herself in opposition to Miller, Hamilton and their allies, three people who worked with her said, because she supported a higher cap than they wanted. She was turned down for positions she hoped to get at the State Department, including in the bureau that handles refugees, said two people familiar with her departure. In July, she was fired from her NSC job. Arangio declined to comment. Bartlett was removed as director of U.S. refugee admissions late last year. He is now posted to Turkey, according to his LinkedIn profile. Hassan and his family are learning to navigate their new life. They live in a modest apartment furnished with donations. He has gotten a driver's license and a job on the overnight shift at an Amazon warehouse, and his English is improving. Last month, Hassan’s wife gave birth to their third child, a girl. They take the older children to a nearby park to ride bicycles. But he worries about his family in Kenya. Diriye, her husband and Hassan’s 10-year-old brother and 14-year-old sister remain in a two-room shelter at the Kakuma camp, home to nearly 150,000 refugees. Their home has no running water or electricity. They survive on U.N.-supplied rations and whatever money Hassan can send each month. Diriye does not know when or if she will meet her new granddaughter. Recently, the online portal tracking her case had additional information: Her required medical exam was no longer current and needed to be repeated, but she must wait to be contacted about a new appointment. "Please be patient," it says.